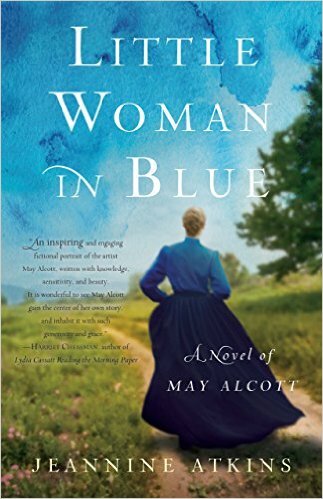 Today on the blog please help me welcome Jeannine Atkins, author of Little Woman in Blue: A Novel of May Alcott! I am thrilled to be hosting Jeannine as I have a special place in my heart for the novel Little Women. It was my mother's favorite novel, which after reading she knew she would name her daughter Amy. When Little Women was mentioned at a recent party (okay, I brought it up), a friend told me he found only one interesting character in that book. I also adored the writer, Jo March, but spoke up for how in real life the youngest sister was not the scatterbrained artist depicted in Louisa May Alcott’s bestseller, but went on to have work displayed in prominent London galleries and at the Paris Salon. My friend asked why that sort of drive and talent wasn’t shown in her sister’s book. That was the question that drove me to research the parallels between the four Alcott sisters and the less-complicated fictional girls. In Little Women, the character whose name Louisa scrambled from May to Amy gives up art when she marries, while in life May deferred marriage. She was famous for flirting, but understood that in an era before reliable birth control, marriage would mean less time for art that mattered deeply to her. May Alcott wanted both a family of her own and acclaim as an artist, a wide dream that Louisa, smart and feminist in other ways, couldn’t envision for a woman. She tended to see in shades of black or white. In Little Women she portrayed two sisters as angels in the house and herself in the role of independent writer. The youngest sister was drawn as a spoiled amateur artist who spent Christmas money on perfume, wanted good food on the table, and a pretty dress or hat. Was that so wrong, I wondered as a girl reading the book and again decades later. Louisa thought so, even while possibly giving her sister desires she couldn’t accept in herself. Her expressed contempt for frills and folderol may have hidden her uneasiness with beauty, especially her own. Louisa was a bit ashamed of desire and ambition, which she’d been taught to call greed. She let rivalry run rampant in the gothic novels she wrote under pseudonyms, but tried to cover it up in Little Women, though its dark undercurrents may attract readers as much as details about lemonade-stained gloves or cravings for pickled limes. Louisa tried to hide jealousy along with too much temper (though she had plenty of reasons to be angry). Sisterly feuds reached a peak when Amy burned the only copy of a novel that Jo worked on for years. In retaliation, Jo turned her back as Amy skated toward thin ice. Disaster was narrowly averted, forgiveness meted out, and lessons learned. But readers glimpse other traces of fire and ice. Sisterhood isn’t all smooth. 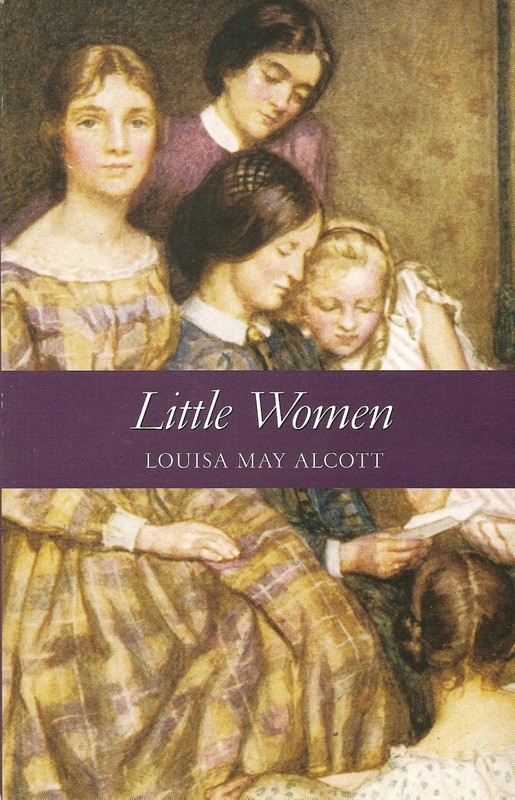 Still, even today readers pick up Little Women, at least in updated versions, or seen on screens, because they’re drawn to girls who try to do good. Many admire much about these sisters, but just as Louisa seemed to think only one sister might make her name in literature or art, she only let one sister truly succeed at goodness. Louisa gave herself little credit for her generosity, and left out the ways May helped their family, too. When Louisa was recuperating from an illness she’d contracted as a nurse in the Civil War, May doled out medicine, changed her sister’s sheets, and carried bedpans, while tending to the hearths and woodstove, shoveling snow, and generally keeping up the house. Off and on she taught in a kindergarten, elementary school, and an asylum for troubled girls. Yet Louisa couldn’t quite let go of her childhood vision of May as rather lazy and selfish. Why did Louisa feel compelled to measure and compare her sisters’ levels of talent and moral worth? No one can say for sure, but working on my historical novel about May, I read letters, diaries, tomes or offhand remarks from the entire family and imagined motives. It seemed the family’s poverty nudged everyone to strive to stand out in non-material realms. Louisa often gave a hand to worthy causes, but she also harbored revenge fantasies, wanting to show the world that an Alcott could make money and perhaps be famous, too. The publication of Little Women brought her this, and she used the windfall to help May go to Europe to study art. Of course May was grateful. But she must have still wished for her sister to see more of her. In a family rich with saved letters and diaries, there are no documents of Louisa ever acknowledging the courage it took May to pursue painting in an era before the MFA had been built in Boston, a time when many in Massachusetts saw painting as something that should be left to Europeans with time on their hands. Louisa never mentioned their long bond as two unmarried women working outside the home. She was forward thinking in many ways, but throughout her life she seemed as strict with family roles as she was when delegating costumes for the plays the girls once performed in the parlor. It was May who pushed past old borderlines, choosing to go after pleasure, a family of her own, and the satisfactions of an artist, too. Jeannine Atkins is the author of books for young readers featuring women in history, including Borrowed Names: Poems about Laura Ingalls Wilder, Madam C. J. Walker, Marie Curie and their Daughters. She is an adjunct professor at Simmons College and the University of Massachusetts-Amherst. She welcomes readers to visit her online at www.jeannineatkins.com. Little Women is my all time favorite novel! Thank you so much for this enlightening post! Thank you for commenting, Colleen!